Serena and Roxanne are best friends and training partners out of Syndicate MMA in Las Vegas, NV. Serena is the first pro MMA female fighter with autism and Roxanne is a two season The Ultimate Fighter contestant. They are both huge anime fans and have attended Otakon in their youth. Roxanne is known for wearing cosplays to her weigh-ins. Roxanne lived and taught English in Japan where she also trained and fought professionally before returning to the USA to compete on TUF 18. Throughout her life she has trained in Taekwondo, Kenpo Karate, Judo, Brazilian Jiu Jitsu, and Muay Thai. Serena has trained in Taekwondo, Boxing, Muay Thai, Wrestling, and Brazilian Jiu Jitsu. 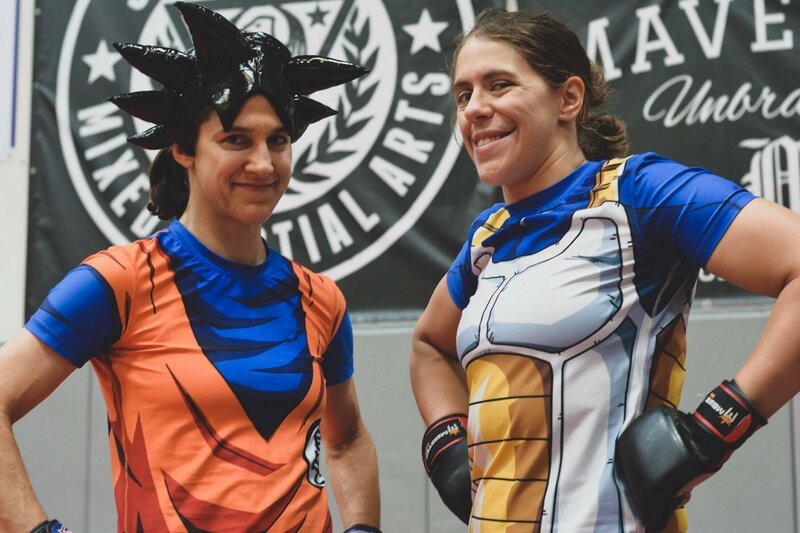 Both women are instructors in BJJ. Both women are inspirations in a male dominate sport.